Get ready to squeal! 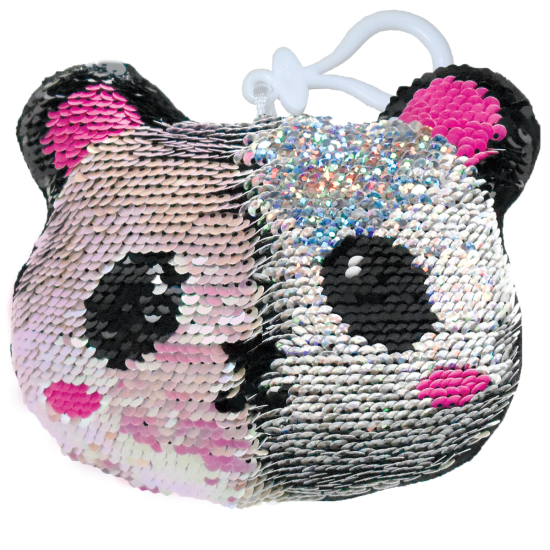 Our panda reversible sequin squishem is the cutest little accessory you ever did see. Soft and squishy, this friendly little guy comes with a plastic clip that makes it easy to attach it to backpacks, wallets, and purses. A great gift or party favor, kids and tweens will go wild for it.